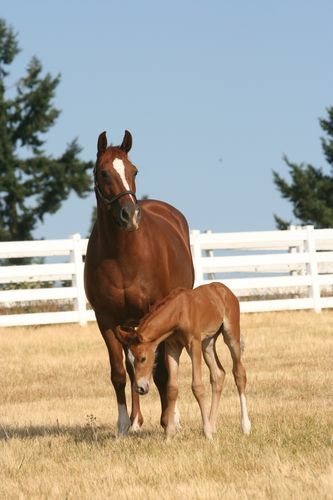 On July 29, Quailhurst mare Tiaraella gave birth to a colt, Edmonde, by Quailhurst’s KWPN stallion Nassau (KWPN Horse of the Year, 2005). A beautiful chestnut color, Edmonde has lovely white socks, a small white blaze, and… the cutest ears we have ever seen on a foal! He is also very sweet, refined, and effortless in his gaits. We are thrilled to have another baby boy to play with Maile’s foal, Elliott.